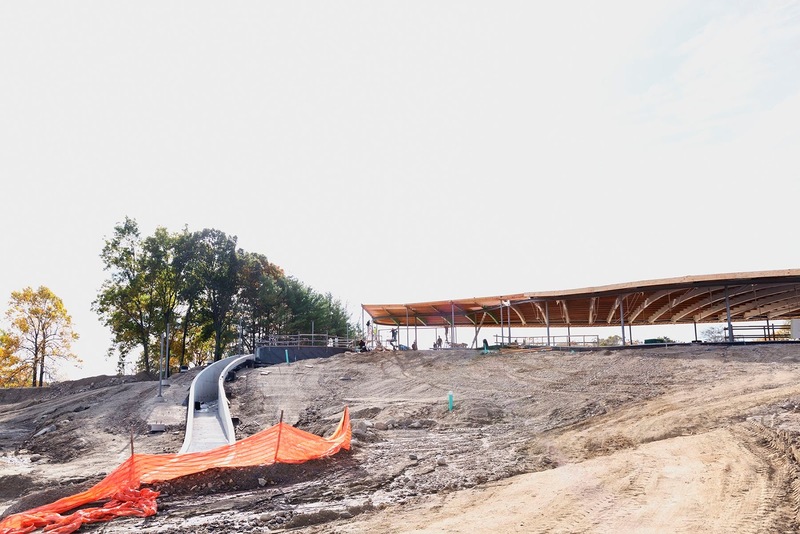 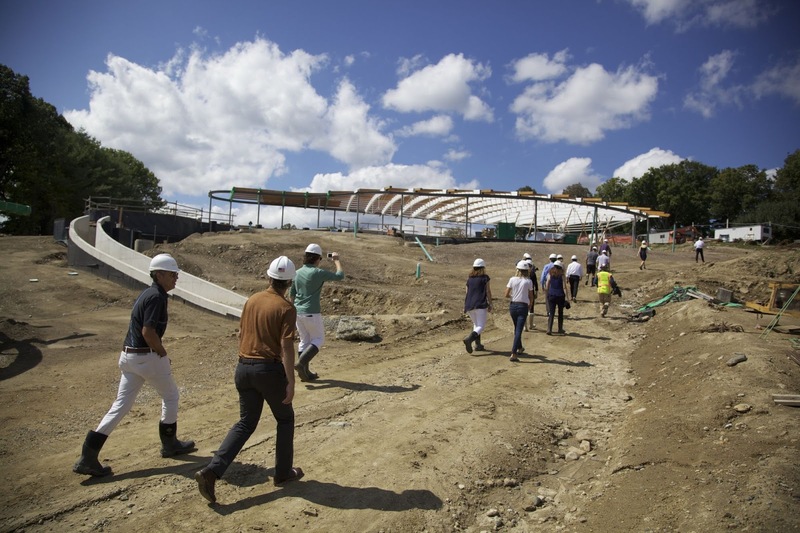 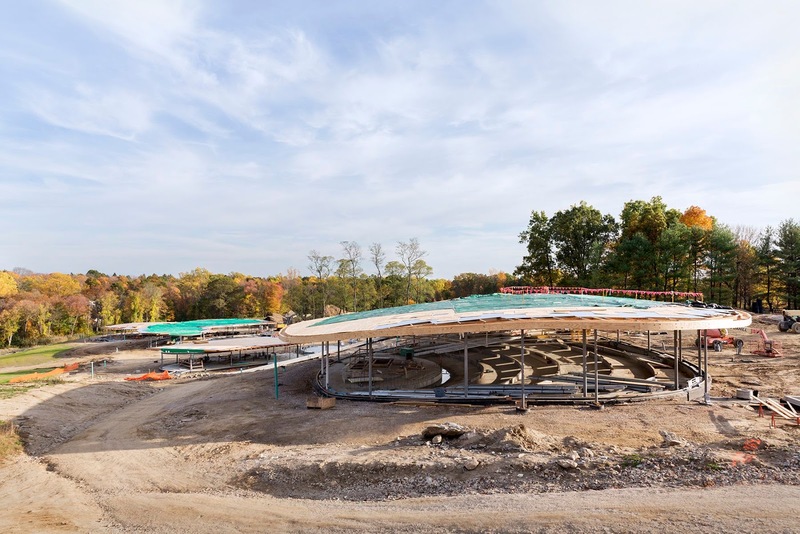 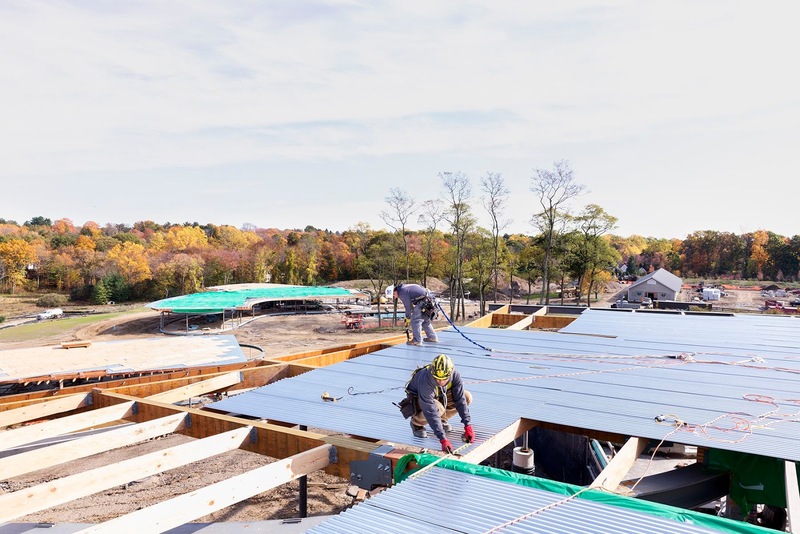 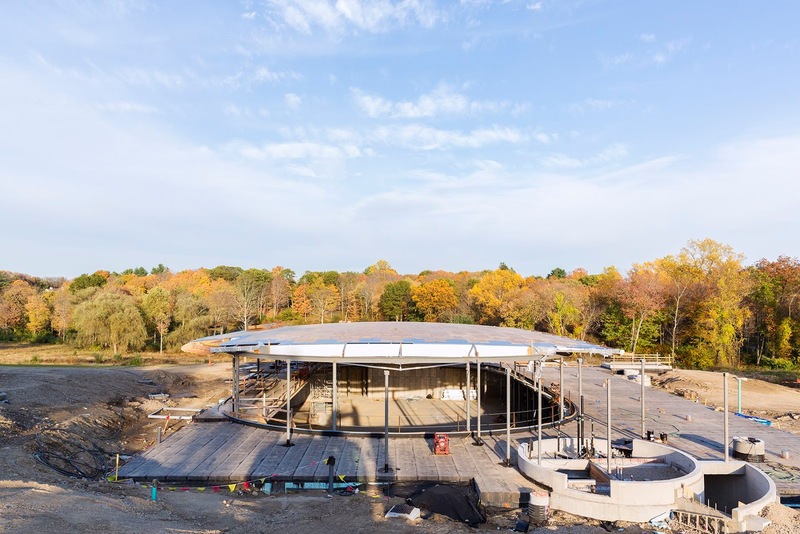 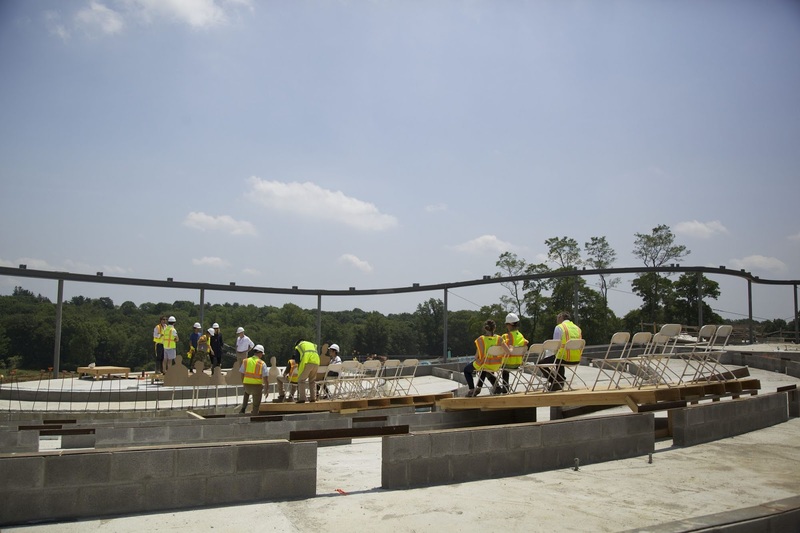 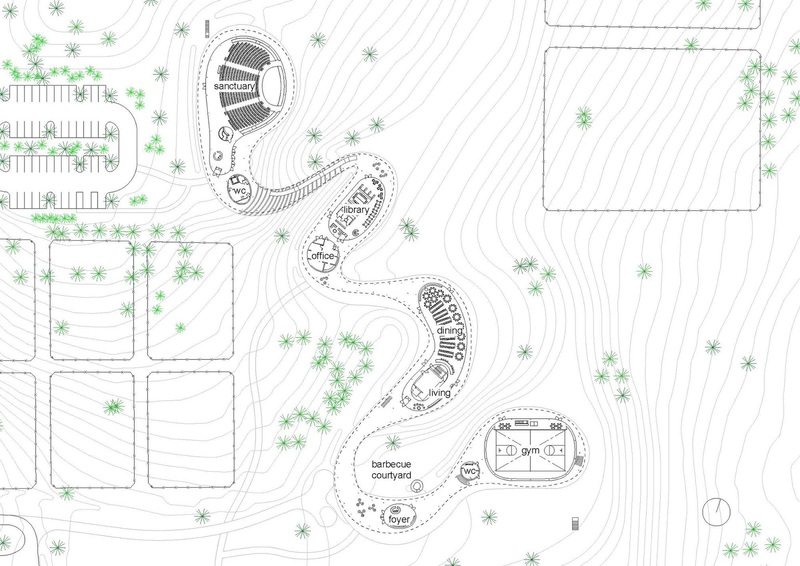 GRACE FARMS, a 75-acre Grace Farms, an environment where people may experience nature, foster community, pursue justice and explore faith, will open to the public in autumn 2015. 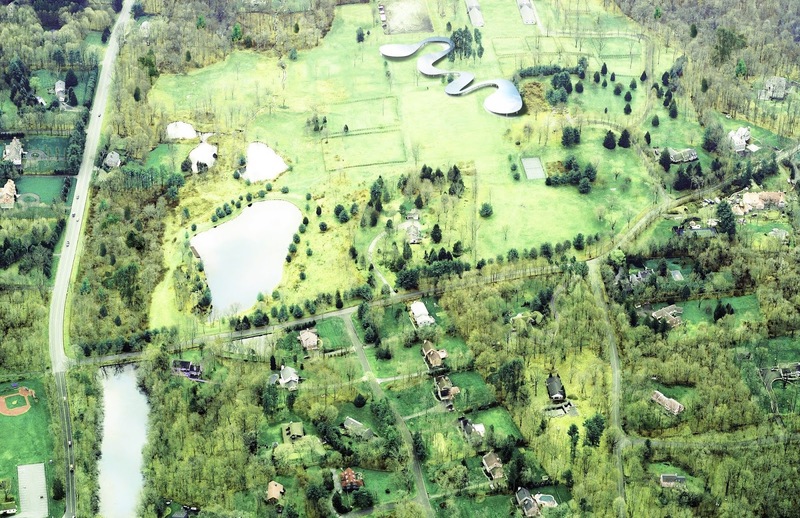 Developed as a gift of open space for the people of New Canaan and a platform for initiatives in the non-profit Foundation’s program areas, Grace Farms features a purpose-built 86,000 of multi-use building by the Pritzker Prize-winning firm SANAA, designed to blend almost transparently into woodlands, wetlands and meadows with a landscape design by SANAA in collaboration with OLIN. 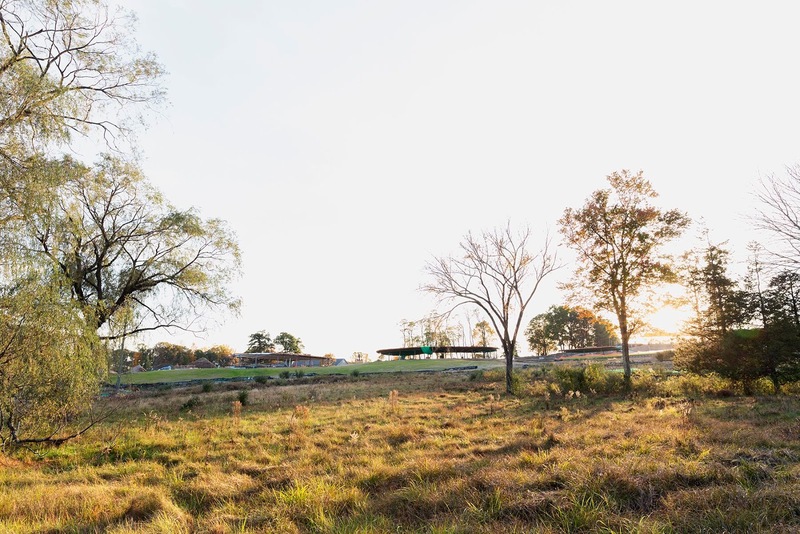 Known as the River because of the way it meanders through the rolling terrain, the SANAA building occupies a footprint of 77,000 sf at Grace Farms. 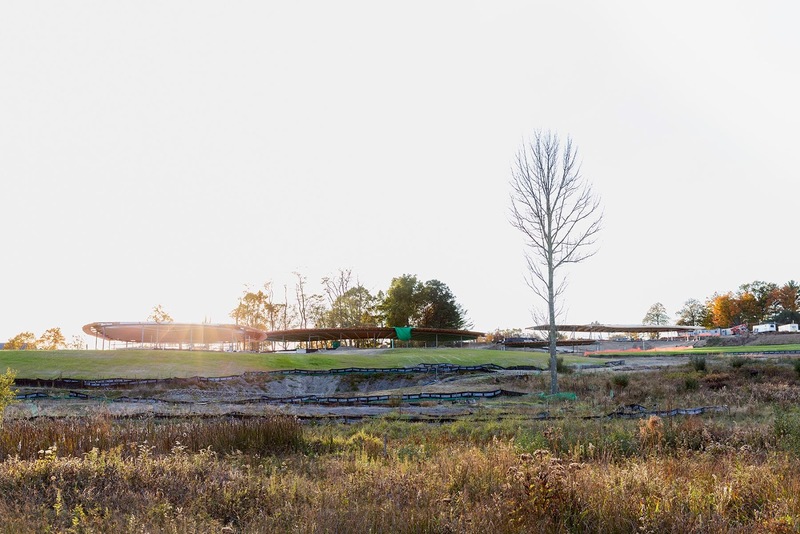 Nestled into the landscape, the River begins on a knoll and then flows down the long, gentle slope in a series of bends, forming pond-like spaces on its journey. 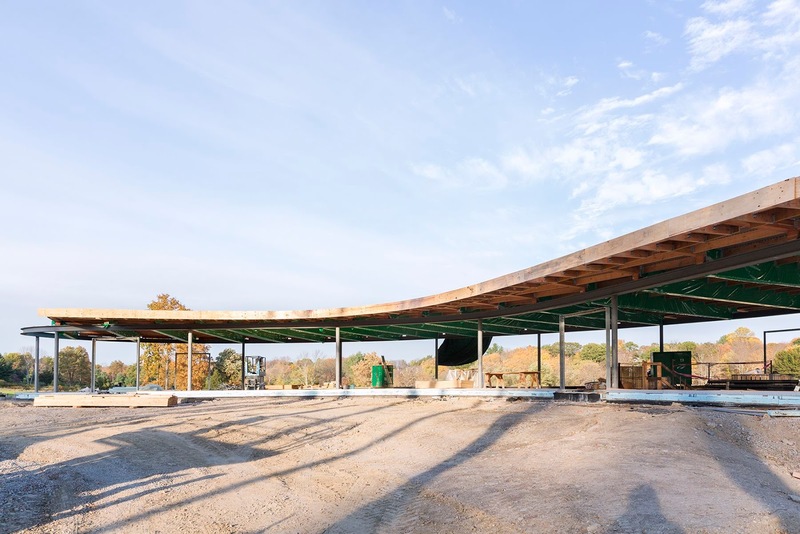 Structurally, the building of glass, concrete, steel and wood is in essence a single long roof, which seems to float some 10 to 14 feet above the surface of the ground as it twists and turns across the landscape. 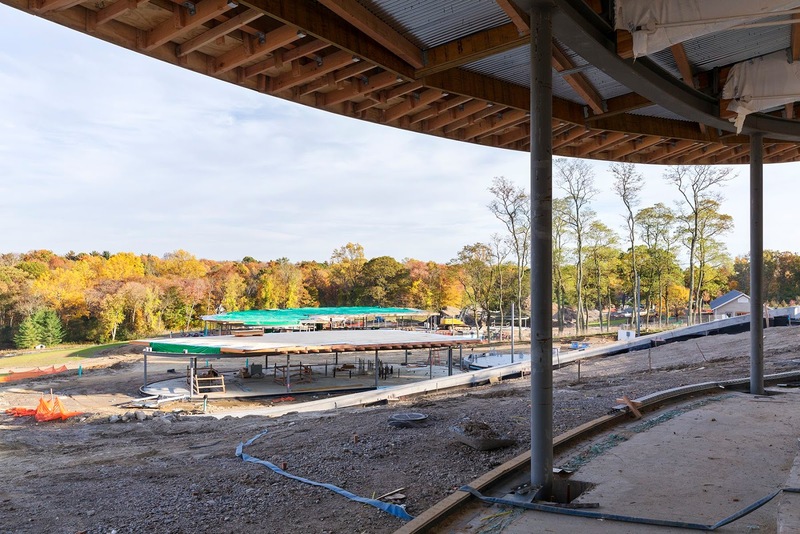 The walkways, courtyards and glass-wrapped volumes that form beneath the roof are remarkably transparent and invite people to engage with the expansive natural surroundings. 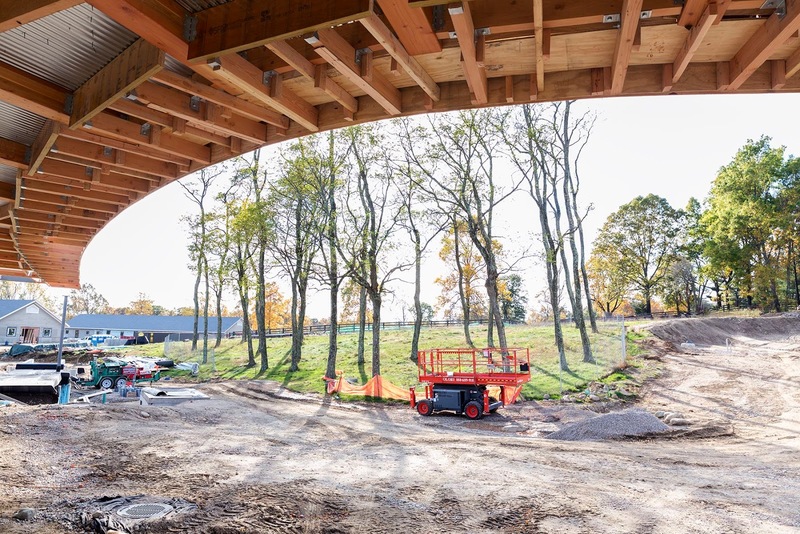 Connecting these volumes, and incorporated into the River as an integral component, are more than 28,000 sf of covered exterior walkways.